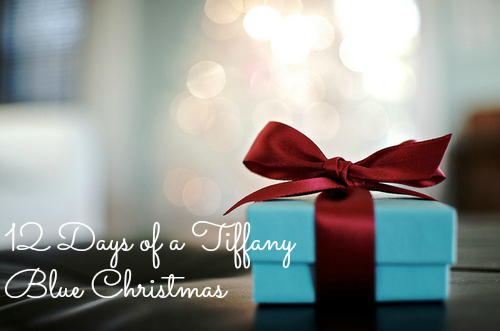 On the 4th day of a Tiffany Blue Christmas, we’re talking your favorite holiday cocktails! Or, if you’d like to cheat and just say wine – all the wine, that works too! While two very obvious answers came to mind for me, wine (duh!) and green & red jello shooters (on my agenda for next Saturday’s Tacky Christmas Sweater party) – I thought I’d share one of my all-time favorite cocktails that’s purely Canadian for my friends south of the border. missing: the vodka, it’s in there I promise and garnishes! Because I’m THAT dedicated to these posts, I actually made one last night so that I could snap an authentic picture. 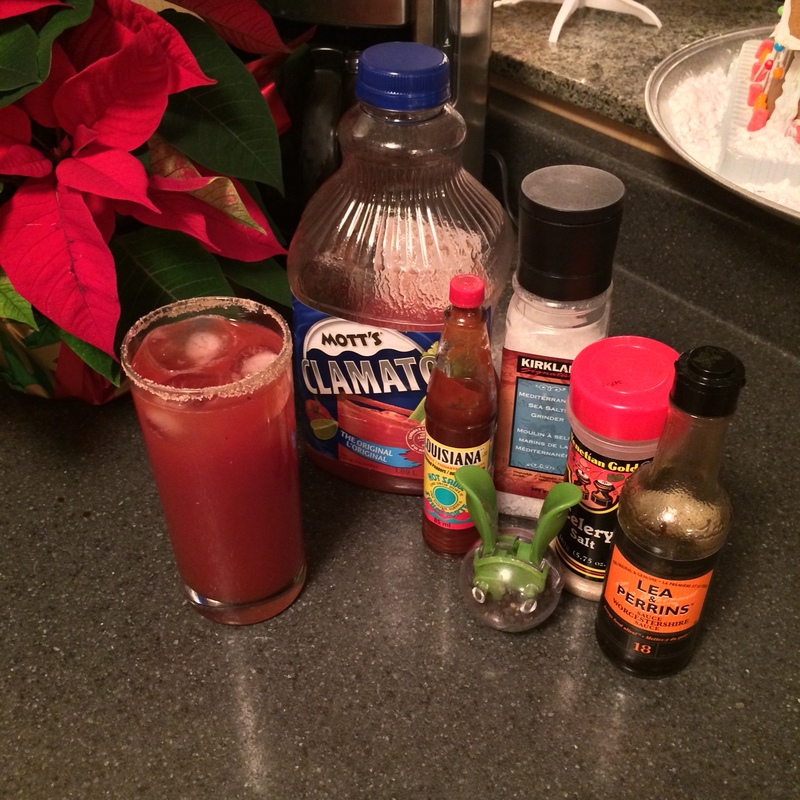 The Caesar is very similar to a Bloody Mary, but served with a uniquely Canadian juice called Clamato by Motts. History lesson here, if you’re so inclined. This delicious tomato clam juice that was once only available in Canada but is now sold in the USA, just makes the drink. Seriously, try as I might, I am not a fan of Bloody Mary’s but I will drink you under the table if Caesars are being served. What you will need to make your own. Celery Salt to salt your rim! Top your glass with ice and Clamato Juice. A lemon wedge and celery strick to garnish! Tomorrow we talk Favorite Christmas Ornament!! A post in which I will not be able to choose, so prepare to see ALL the ornaments! 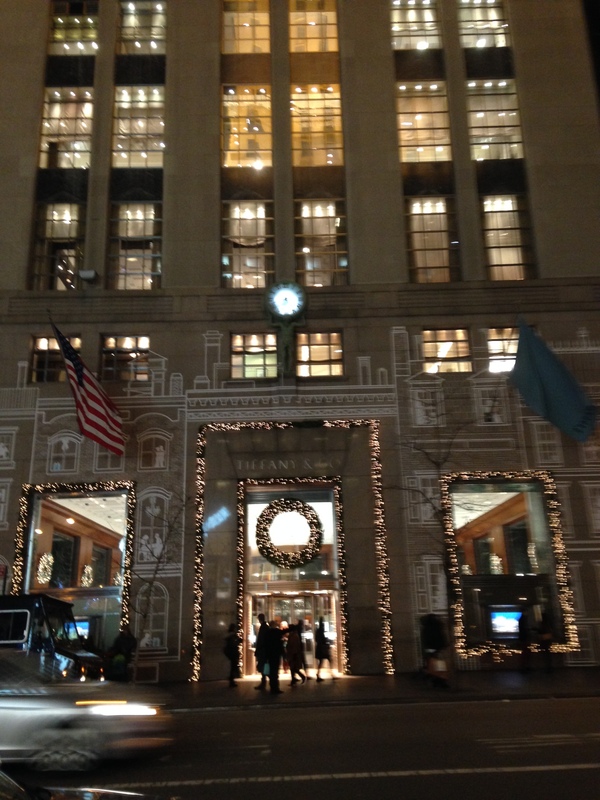 AND before I finish this post, a HUGE shout out to my friend Melanie who is currently in NYC and snapped this Tiffany Blue Christmas appropriate photo of the Tiffany & Co. flagship store on 5th Avenue for me!